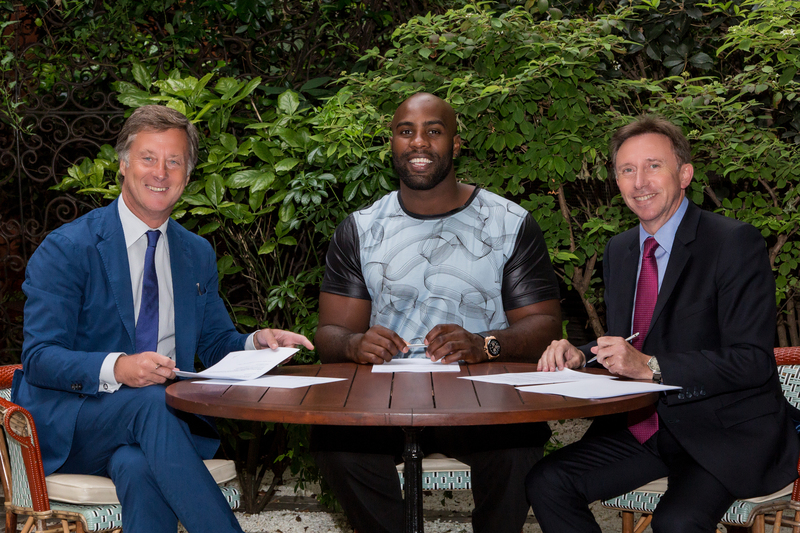 True to its promise to offer its customers unrivaled experiences beyond the sphere of traditional hospitality, AccorHotels has asked Teddy Riner, a multiple Olympic medalist in judo, to become the ambassador of the Le Club AccorHotels loyalty program for a period of four years. This partnership with Teddy Riner, a champion known both in France and around the world for his sporting achievements, naturally reflects the values held by the Group and its loyalty program: generosity, excellence and a winning spirit. As part of the “Elite Experiences” offered by Le Club AccorHotels program, meetings with the French judoka will be offered to the most loyal members and their families among others in the Group’s hotels, in the VIP box at the AccorHotels Arena or during training sessions. Through this partnership, Le Club AccorHotels is developing its “Elite Experiences” offer, which allows members of the program to use the points earned during hotel stays to enjoy one-of-a-kind experiences around the biggest events around the world: Grand Slam events (the French, US and Australian Opens), concerts enjoyed in the box at the AccorHotels Arena, New Year’s Eve at the Novotel Times Square, Rio Carnival, Berlin Fashion Week, opening night of the Dubai Opera, etc. “By teaming up with an iconic figure from the world of French sport, Le Club AccorHotels is once again demonstrating its commitment to reward the loyalty of its members with the very best. This commitment to excellence is reflected by the continuously upgraded offers, enabling more than 35 million loyal members to use their points for more than just hotel stays and to enjoy ever more unique and rewarding experiences,” said Emanuel Baudart, Chief Customer Officer of AccorHotels Group. “On my travels, I’ve had the opportunity to appreciate the genuine know-how and professionalism of the AccorHotels group teams, which have always welcomed me with a second to none warmth and kindness. It is therefore with great pride that I agreed to become the ambassor of the Le Club AccorHotels loyalty program as it reflects this generosity and this pursuit of excellence” declared Teddy Riner. To find out more about other “Elite Experiences” offered by Le Club AccorHotels program, click here. The AccorHotels Group is a global leader in travel and lifestyle, and a pioneer in digital technology, offering unique experiences in more than 4,100 hotels, resorts and residences, and in more than 3,000 outstanding private residences worldwide. With its dual expertise as an investor and operator, through its HotelInvest and HotelServices divisions, AccorHotels operates in 95 countries. Its portfolio includes internationally renowned luxury brands such as Raffles, Sofitel Legend, SO Sofitel, Sofitel, Fairmont, onefinestay, MGallery by Sofitel, Pullman and Swissôtel, the mid-range boutique hotel brands 25hours, Novotel, Mercure, Mama Shelter and Adagio, and very popular budget brands such as JO&JOE, ibis, ibis Styles and ibis budget, as well as the regional brands Grand Mercure, The Sebel and hotelF1. AccorHotels provides innovative services to travelers, throughout their entire journey, notably through the recent acquisition of John Paul, the leading concierge service worldwide.